The United Methodist Association of Ministers with Disabilities (UMAMD) announce that Rev. 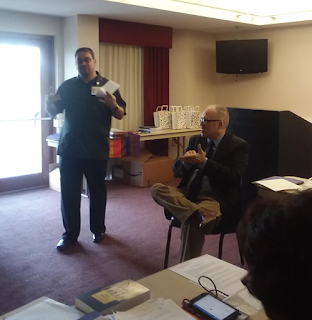 Jonathan Campbell of the Greater New Jersey Annual Conference and Rev. Hank Jenkins of the Missouri Annual Conference have been elected as co-chairs. Their term began April 1. Rev. Jonathan Campbell is an ordained elder in the Greater New Jersey Annual Conference (GNJAC). 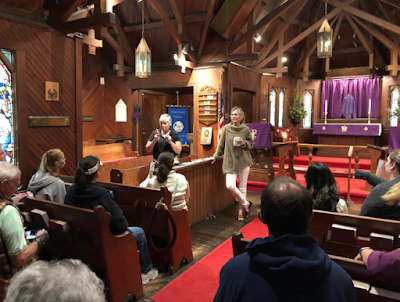 He is currently the pastor of Old First UMC in West Long Branch. He previously worked at CUMAC-ECHO, a large feeding and ministry center, in Paterson as the Operations Director. He serves the GNJAC as the Peace with Justice Coordinator. He enjoys preaching, teaching, and helping individuals find and deepen their faith through worship, educational opportunities, and mission. He is blessed to be the father of three amazing young men, Jeremiah (16), Nathan (13), and Christopher (10). Rev. Hank Jenkins is an Ordained Deacon in the Missouri Annual Conference. He and his wife have been living in Oxford, England, for the past two years as she works as a research fellow at the University of Oxford. Currently appointed as a student, Rev. 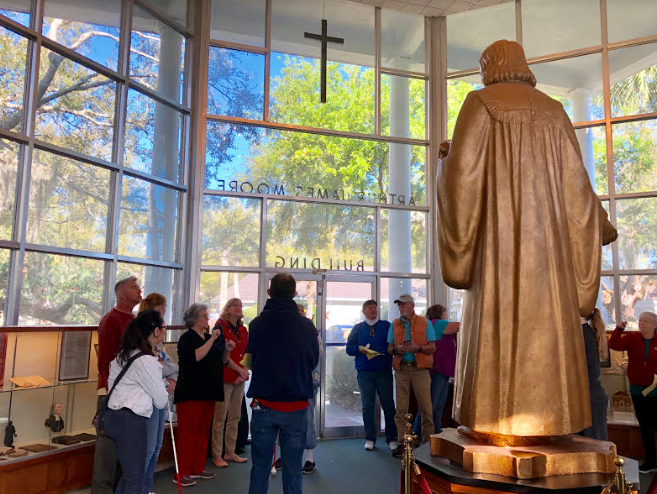 Jenkins is pursuing his Doctor of Ministry through Wesley Theological Seminary, focusing on holiness, effective ministry and engagement with the world. Before starting his D.Min., Rev. Jenkins served as a youth minister in the Missouri and Oklahoma Annual Conferences. Rev. Campbell and Rev. Jenkins look forward to continuing the work of outgoing co-chairs Rev. Russell Ewell and Rev. Janine DeLaunay in advocating and educating for the ministries of people with disabilities. For centuries, words and terms have been used to identify people, for a variety of reasons and purposes. This is the same for persons with disabilities. We recognize the specific needs that a person diagnosed with a physical, sensory, neurological, mental health and any other condition may require. 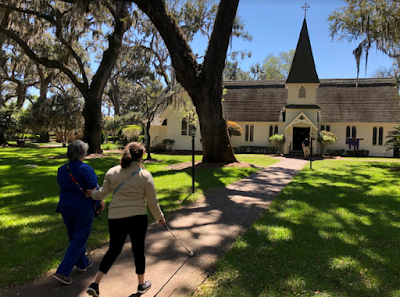 Old descriptors, such as handicap, mental retardation, mentally-ill, wheelchair bound, and hearing impairment, have a way of putting up attitudinal barriers toward our Christian brothers and sisters due to misconceptions about their abilities and their place within the body of Christ. Certainly, words, when used carelessly, hurt and injure others. When we identify someone by noting their disability first, the reference is often negative, and so is the attitude. 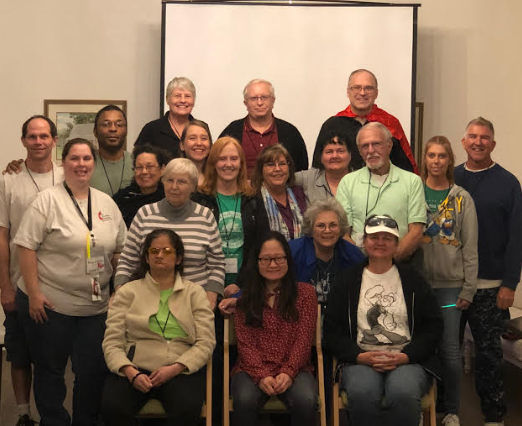 By adopting improved ways of thinking and talking about persons with disabilities, we have an opportunity to exert a positive influence on their lives, as well as on our faith community and our denomination as a whole. We've seen the power of language on other groups. Making vocabulary changes helps to remove harmful descriptors that can reduce attitudinal barriers for persons with disabilities. Our society has already shelved harmful words like cripple, lame, retarded, and deaf and dumb. Equally important is to be aware of words like disadvantaged, challenged, and defective. Society as a whole means well by using euphemisms like “differently-abled” and “special needs,” but it is important to note society has and can continue to attach negative connotations to words as has occurred with the terms “disability” and “disabled.” This distortion of meaning helps fuel ableism in our society. It is important to recognize that many persons with disabilities do not find anything wrong with the words disability and disabled because they refuse to accept the negative connotations. When it comes to labels affecting individuals, it is always best to ask the person what term he or she is comfortable using. The disability community is not of one mind when it comes to disability language, including the UMAMD. However, first person language is often preferred over descriptors alone. For example: a person who has bipolar disorder, rather than he/she is bipolar, or a person with a disability, instead of he or she is disabled. Identity-first language and person-first language are commonly based on personal preference and/or a sense of pride (e.g., some Deaf people feel proud to be Deaf because it has a rich culture with a language and history). For a more comprehensive list, The National Center on Disability and Journalism has a glossary. It can be found at http://ncdj.org/style-guide/. Included in the agenda was a discussion of proposed disability-related legislation and resolutions for General Conference 2020, which was facilitated by Rev. Jackson Day, a representative of GBCS and an advocate for persons with disabilities. Those present provided input and feedback to better perfect the proposals. The final legislation discussed would place the DMC back into The Book of Discipline. It had been (unintentionally) removed from the 2016 General Conference, which led to it losing financial support from GBGM. 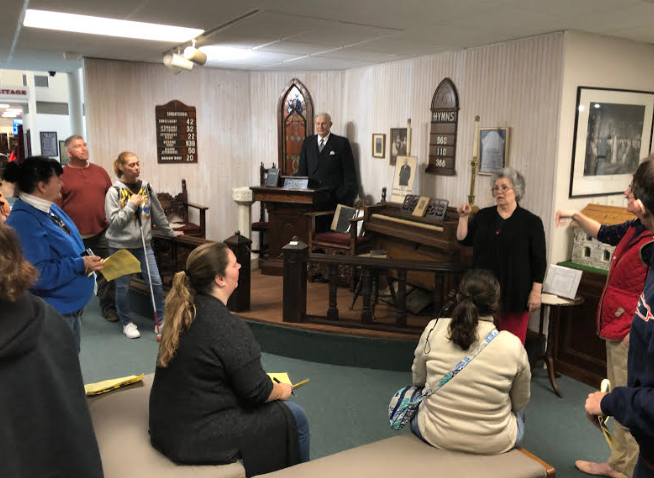 It was pointed out by Sabrina Rodgers, of GBGM, that the agencies present had shown to be engaged in various forms of ministries and programs with persons and communities with disabilities. Rev. 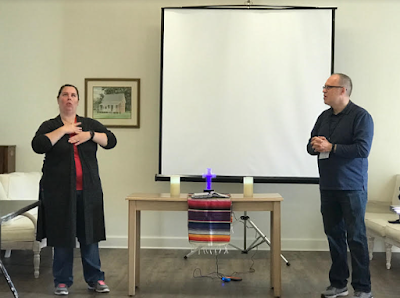 Jonathan Campbell, the co-chairperson of UMAMD (a caucus) added that including it helps to ensure another level of accountability from discrimination, in which he shared briefly his own personal experience of ableism when he went through the ordination process. The representatives from UMAMD and DMC shared their appreciation for everyone's input. The session concluded with the sharing of a "hopes list" that was facilitated by Rev. Leo Yates, Jr., a consultant with the Committee on Deaf and Hard of Hearing Ministries (GBGM). The disability groups identified ways the boards and agencies can be more accessible and engaged with them and persons with disabilities. For example, Yates requested their websites be better accessible so they can be reader-friendly for persons with vision loss and by the use of captions (on videos) for those who are Deaf and hard of hearing. Rev. Nancy Webb, a UMAMD representative, expressed the hope that each of boards and agencies' public events be more accessible, as well as using venues that were accessible. 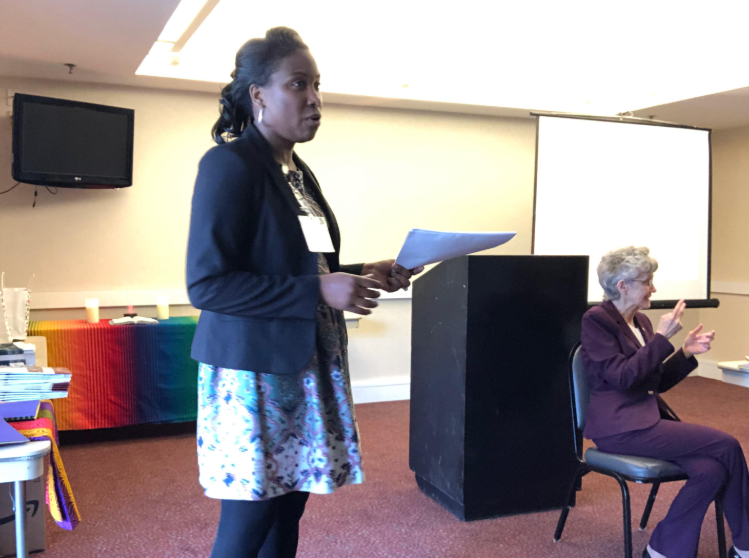 Campbell encouraged the boards and agencies to utilize the disability group's expertise and knowledge when funding large programs or projects to ensure their vitality. Rev. Russell Ewell, a deacon and the outgoing co-chairperson of UMAMD, encouraged each board and agency to have a person with a disability or an advocate for persons with disabilities on their board of directors (or committees) to bring the much needed voice and perspective. When discussing funding support, the Rev. Sung-Ok Lee, representing the UMW, announced to the group that she will propose to the UMW to provide $500 a month to help support the DMC with staffing. 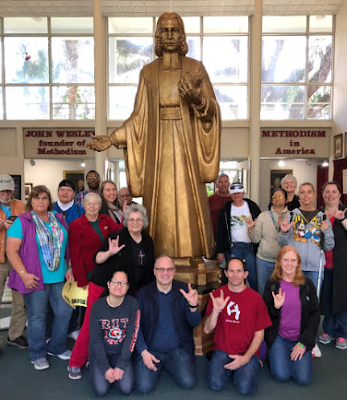 Deaf United Methodists gather in Southeast Jurisdiction -- Leo Yates jr. It was a scene that probably had not been a part of Epworth by the Sea before. Deaf, hard of hearing, Deafblind persons, and hearing allies from the Southeastern Jurisdiction descended upon Epworth by the Seas off the coast of Georgia and held a leadership training retreat on March 22-23, 2019. The retreat marked a time of renewal for the SEJ Deaf United Methodists, who are associated with The United Methodist Congress of the Deaf (UMCD), a national United Methodist caucus that advocates for and supports the inclusion and empowerment of Deaf, hard of hearing, late-deafened, and Deafblind individuals and their families in The United Methodist Church. The retreat was supported by Global Ministries and was led by Rev. 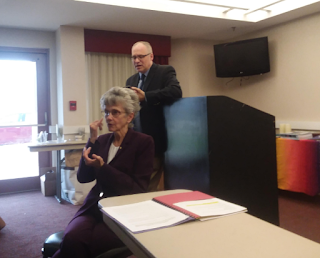 Leo Yates, Jr., the consultant for the Deaf and Hard of Hearing Ministries Committee (Global Ministries), and Mary Harris, the coordinator of a Deaf ministry at Conway United Methodist Church in Orlando, FL. 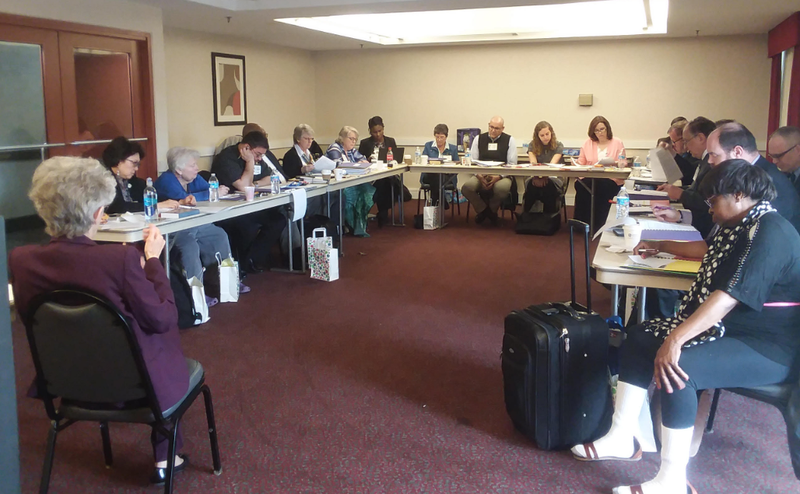 While some organizations are at a wait-and-see juncture after the Special General Conference in St. Louis MO, Deaf leaders in the SEJ (and most other locations) felt that the work in Deaf Ministries cannot sit still. 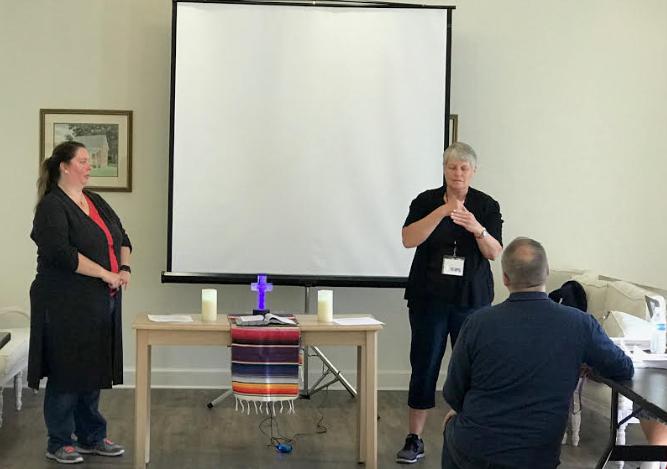 Moving forward with Deaf leadership training and spiritual renewal are crucial for preparing Deaf, hard of hearing, Deafblind, and their hearing allies for ministry. “Wesleyan leadership strategies still need to be taught no matter what happens with any General Conference decisions and Jurisdiction Council rulings,” said Mary Ann Deters, the SEJ president, who is Deaf. “Conway UMC is committed to Deaf Ministries and so are so many other churches in the SEJ, such as St. Andrew UMC in Titusville, FL, among others. Deaf and Deafblind people do not want to sit in the pews - they are our present and future leaders in Deaf Ministries," said Harris. 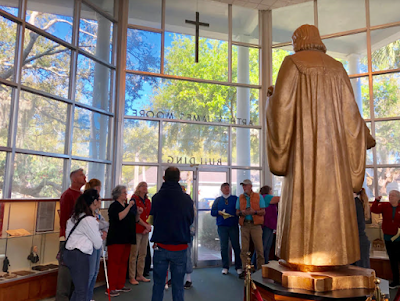 Yates, a deacon in full connection who presented the Wesleyan training said, “Wesleyan theology, works of piety, works of mercy, and Christian witness are all very relevant in any denomination, whether it is our current denomination or a future break away Methodist denomination. We still need to serve Christ in all times.” Billy Deters, the president of UMCD, echoed the sentiment. He was also present at the Special GC as a special observer. 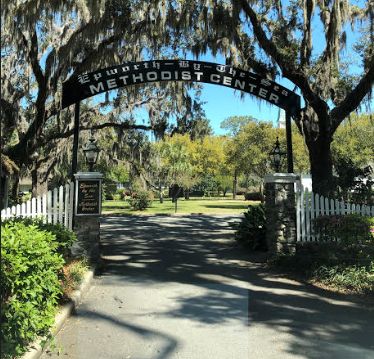 The retreat consisted of worship, didactic material, small group work, and tours at Christ Church of Frederica, at Epworth, and Fort Frederica, all of which are on St. Simons Island, GA. Tours included locations where John and Charles Wesley served as missionaries during the early Methodist movement. Mary Ann Deters conducted a SEJ Deaf Ministries business meeting on the last day of the retreat. Among its items, the meeting affirmed a commitment from everyone present. Hope is renewed in the SEJ for many Deaf, hard of hearing, late-deafened, Deafblind persons and their families. 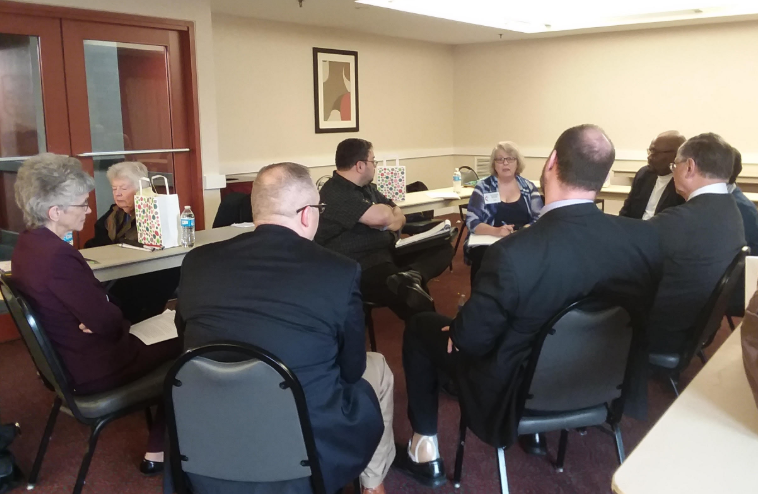 Increased awareness, fundraising, and improved accessibility were just a few of the goals that came out of the SEJ business meeting. 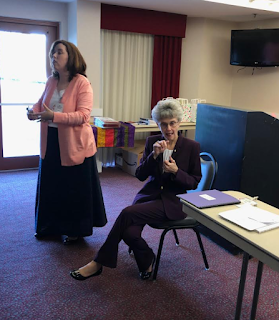 Bishop Peggy Johnson, known for her advocacy work in Deaf and disability ministries, commended the renewal and encouraged the SEJ of the UMCD in their Deaf Ministries work. There’s a lot of advocacy work ahead; however, it makes it more exciting that others are doing it too! * Rev. Leo Yates, Jr. is available for consultation for churches and annual conferences interested in learning how they can begin a Deaf ministry by contacting him at leoyjr@gmail.com. Article about recent college admissions scandal mentions an under-appreciated problem: perception of disability when some people engage in faking conditions. With a little thought, what this article states about business can be extended to churches.